Clear. Gusty winds diminishing after midnight. Low 33F. NNE winds at 20 to 30 mph, decreasing to 5 to 10 mph. Winds could occasionally gust over 40 mph..
Clear. Gusty winds diminishing after midnight. Low 33F. NNE winds at 20 to 30 mph, decreasing to 5 to 10 mph. Winds could occasionally gust over 40 mph. A piece of yellow police tape remains in front of a Darien apartment building Sunday, a remnant of the investigation of a double-fatal shooting Saturday night. Delavan police are investigating Sunday’s double-fatal shooting in Darien as a murder-suicide. In a news release, police identified the suspect as Steven W. Kohs, 34. The shooting victim who died was William Swift, 48. The victim who survived is Rebecca L. Kohs, 39. All three are from the village of Walworth. Delavan Police Chief Jim Hansen said Monday that Steven and Rebecca were an “estranged husband and wife.” He said investigators still are looking at “all possibilities” regarding how Swift was involved. Online court records show Rebecca filed for divorce from Steven on Feb. 5, but the case was dismissed March 12. Just after midnight Sunday, police responded to 127 N. Walworth St. and found Steven dead from a possible self-inflicted gunshot wound. Inside the apartment, police found Rebecca with a gunshot wound and Swift dead of gunshot wounds. Hansen said police recovered the weapon from the incident, but he would not specify what kind of firearm. A spokeswoman for the hospital confirmed Monday that Rebecca was treated and released. Hansen said he believed Rebecca was friends with the renter of the apartment where the shooting happened. 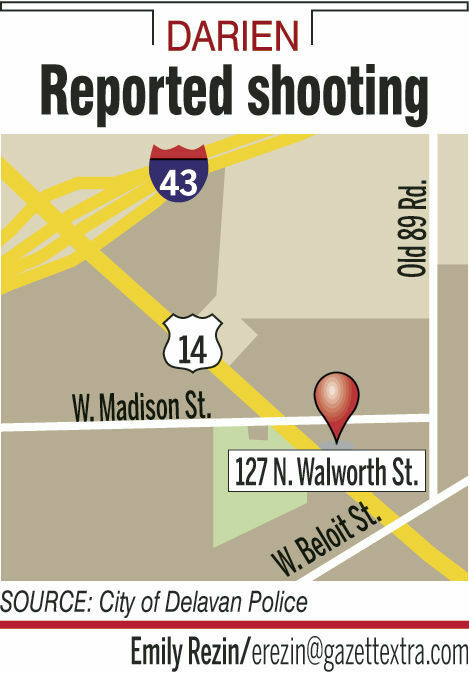 He believes the renter was the person who reported the shooting to the Rock County 911 Communications Center, and she also was present when the shooting took place. Hansen said police still were gathering details. Police are investigating the shooting as a murder-suicide after getting information from neighbors, statements from the two surviving witnesses and other evidence at the scene, according to the Monday news release. Autopsies of the two men could yield more information. Police also are looking at cellphone records. Both of those, along with other elements of the investigation, “may take two months to complete,” the release states. Police have said no one else was injured and that the community is not in danger. Two men were reported shot and killed, an a woman wounded, in an incident at a Darien apartment building late Saturday night.